Thin Pizza Crust Close Up. Description: Thin pizza crust close up. 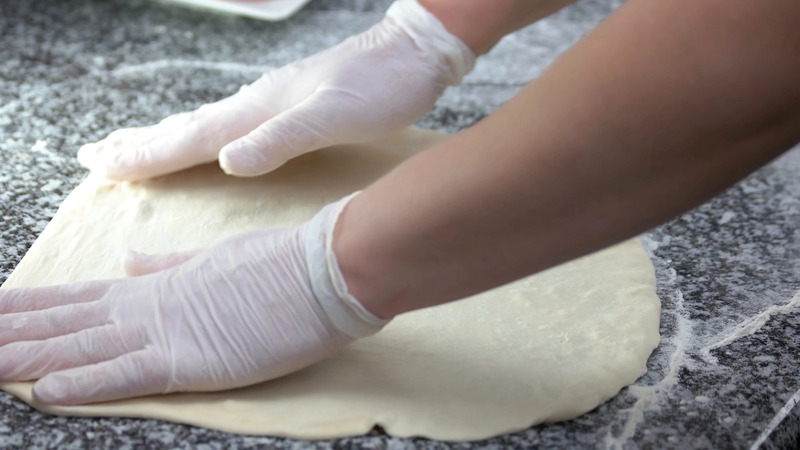 Hands of chef preparing dough.